Every day, a lot of bloggers try to find more ways on how to make money blogging. I admit I am one of them. In my previous post about the 4 types of bloggers, quite a number of us are bloggers who would love to earn some extra money online right? Who doesn't? I am sure millions (that much?) are now making money online with their blogs and I am positive that if you are reading this, you are one of them. Making money blogging is not easy but it is achievable. Having said so, there are so many different ways your blogs can be your money generating machine. You will be surprised by the variety of ways you can earn money online with your blogs. It is getting easier for bloggers to earn money online. In fact I would say that the money are at our fingertips if we know how to tap them. So today we will try to look at the different sources of income that we bloggers can make. I strongly advise that bloggers spread their earning through multiple revenue streams so as to allow you to have more earning potential and leverage. Are you ready to discover how you can make money blogging? CPM advertising programs are almost similar like PPC advertising programs. The difference is that you will be paid based on the number of impressions (hits) your blogs managed to garner. CPM means Cost Per Mille, and it stands for the cost of 1,000 impressions. Let's say if your blog is able to generate 100,000 page views monthly displaying an advertising banner with a US$1 CPM. This means you will earn US$100 monthly. This means that this form of revenue is more predictable and stable. If you are a regular visitors of my blog, you would have known that I am using this In-Text Advertising too right? In-Text advertising companies will place links inside your content or anywhere in your blog that has text which is relevant to them. These links are different from the usual links because it comes with double underline to distinguish it. So once your blog readers roll their mouse pointers over these double underline links, an advertising will pop up. If the advertisements are clicked, you will be able to make money. I am sure you will be very familiar with Audio Advertising especially if you are the kind who like to tune in to radio. Audio advertising is also known as PPP (PayPerPlay). So how does it work? It is pretty simple: A short Audio Advertising will be played (usually 5 seconds) each time a visitor lands on your blogs. Readers will not be able to stop the audio ads and thus this will create a 100% conversion rate based on the number of unique visitors that you have. How awesome is this? Selling banners on your blog is one of the most lucrative ways for you to earn money. In fact for some bloggers, this form of revenue contribute to the lion's share of their online income. Why this form of revenue is so lucrative? Firstly it is because you can set your own rates and command a very good price for each ad spot that you sell. There are two ways for you to sell those ad spots in your blogs. You can sell various banner formats and the most popular banner format is the 125x125 banner! Another way to go about with banner advertising is finding your own advertisers. Direct banner advertising allows you to earn 100% of your income as you don't have to give any commission. But you have to find your own advertisers which can be quite difficult if you don't have a huge audience. One of the more controversial ways of earning money is through selling text links on your blogs. Controversial because Google doesn't like us to sell any text links away from our blogs and if worse comes to worst you will be penalized by Google. That is your PR will be stripped and your Adsense account for that particular blogs will be suspended. Still a lot of people are taking this risk because they can monetize their blogs very easily by selling text links ads. One of the perks is that you can automate the sales of the links on your blogs. So do you wanna face the wrath of Big G? If you are into making money online, then I am sure you are aware of affiliate marketing right? Affiliate marketing is one of the easiest way for you to make money online and the profit margin for each successful sale is quite high. Basically this money making model allows you (the affiliate) to sell products by other merchants. This is done by either by placing the banners or text link of the products or by writing a review about a particular product. In this form of advertising your performance is tracked based on CPA (Cost Per Action) or CPL (Cost Per Lead). Simply put you are paid to do what you like to do best-blogging! 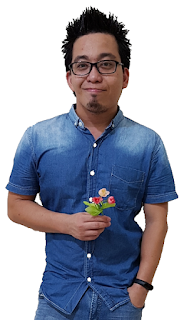 I first came to know about paid blogging through PayPerPost. However paid blogging was surrounded by lots of controversies when it first started mostly because of the lack of earning disclosure. Nowadays more and more companies are offering paid blogging opportunities to blogger. Joining one of these companies will enable you to write sponsored posts on a wide range of topics. If you blogs have specific, engaging themed posts (e.g. weekly movie reviews, comparison of cameras, surveys of readers etc.) with good readership, then you can find advertisers to sponsor your posts individually. These advertisers will be sponsoring your posts for a particular period of time. For example if you have regular weekly post about how to snap beautiful pictures using DSLR, you can approach companies such as Canon or Nikon. This is actually a win-win situation for both you and the advertiser. You can earn good money from these sponsors and at the same time your advertisers will be getting targeted audience. This might sound a little bit hard, but I assure you that you can really make money by selling or renting your blog posts. I have personally rented a few of my blog posts. What is the difference between a rented blog post and a sponsored post? Simply put, a rented blog post is a post that has been written earlier and later it was spotted by the advertiser. The advertiser then wanted to rent the post by placing several links or banners on that particular post. Of course these rented blog posts have high individual PageRank, traffic and SERP. You can earn a fixed monthly recurring income by renting out your posts. Or you can sell it for a lucrative single fee which I don't recommend. Nowadays it is very easy for any bloggers to make money online. 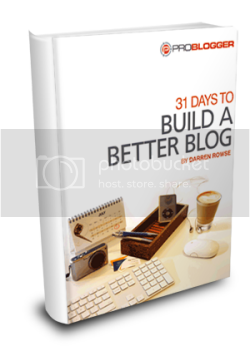 The variety of ways for bloggers to make good money via blogging is simply innumerable. The emergence of more and more blogging networks allow bloggers like us to make money online almost effortlessly. Of course blogging for your own blogs has its advantages because everything will be yours. Then again, it is not such a bad thing if you are blogging for blog networks which will handle everything for you such as the set up of the blog, SEO (Search Engine Optimization), promotion of your content etc. A lot of bloggers are placing the unmistakable "Donate" button on their blogs to earn money. However there are 2 ways to make money blogging by asking for donation. The first one is more ethical in a sense that bloggers ask for donation on their blogs, where their readers can learn and derive value from their contents. So if you have a very good, informational or inspiring blog with good readership, you can always ask them to tip you. The second type of bloggers are the ones who do nothing but ask money from you. These bloggers don't provide you with any value or whatsoever, but they still want you to donate your money. You will be surprised to know there is this lady, called Bosnak who literally beg for money from her readers to pay for her US$20k credit card debt. Guess what? She managed to raise more than she has begged for. 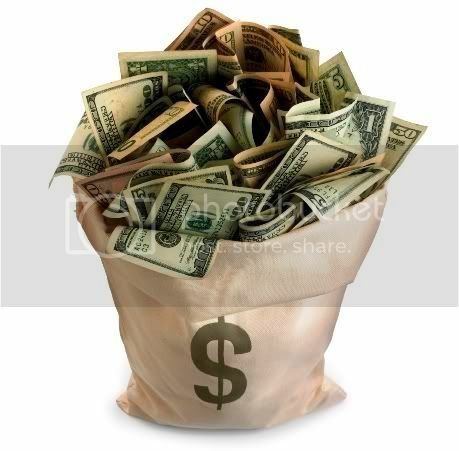 Read this post of mine to find out more: 5 Proven Insane Money Making Idea. Here's another totally wacky way to earn money from your blog. Indirectly of course. If your blogs have good readership and you have lots of fans, selling merchandises based on your blog is a viable idea. For example you can sell T-Shirt baring the logo or mascots of your blog. Or you can put in your pretty faces at the back of the T-Shirt and sell it. Of course you can choose from a list of merchandises to sell such as photo mugs, custom stickers, bags and custom caps. If the brand of your blog is really good, why not try selling merchandise? Try CafePress and start making extra money. Woohoo! So there you have it folks. 18 ways for you to make money blogging. I am sure you have tried a few of the ways that I have listed above right? Try and experiment with the other methods mentioned above. Who knows right? Maybe now you can make more money blogging. Of course there are hundreds of method out there (that I am not aware) on how we can make money blogging. But I am sure if executed properly, these 18 ways to make money online blogging can earn your hundreds per month if not thousands. All the best everyone. Or you can always turn to the pro to make money blogging online.